The main reason for rolling grain is to crack or break the grain kernel in order to allow easier access to the nutrient rich centre of the grain by the microbes in the animal’s digestive system . 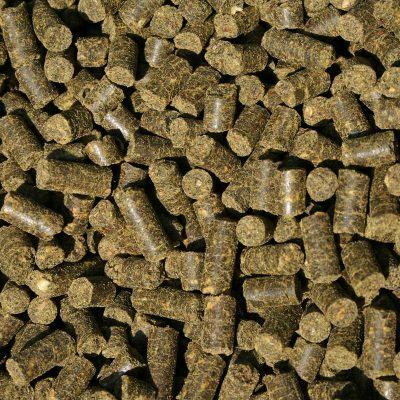 The level of processing required varies with different animals – small ruminant animals (and poultry) can digest whole grains, larger ruminant animals will pass some amount of whole grains without digesting them and pigs cannot digest whole grains at all. 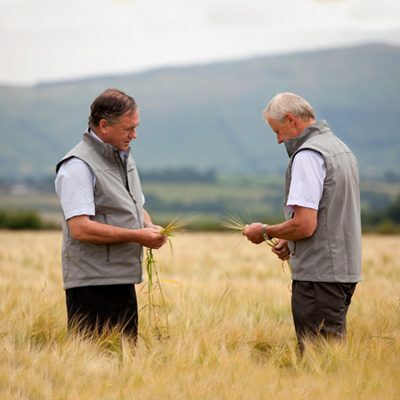 There are many differing opinions on what “good quality” or “well rolled” Rolled Barley should look like and equally many differing conditions and circumstances giving rise to the variation in end product appearance. Ideally the grain kernel should be cracked, the grain slightly flattened and the fine material retained within the grain kernel. Dust level should be minimised as dust is easily lost to the atmosphere during subsequent handling – loading and tipping – and it is the most valuable part of the grain. The objective is to have a robust rolled grain which can withstand further processing when added to feed. 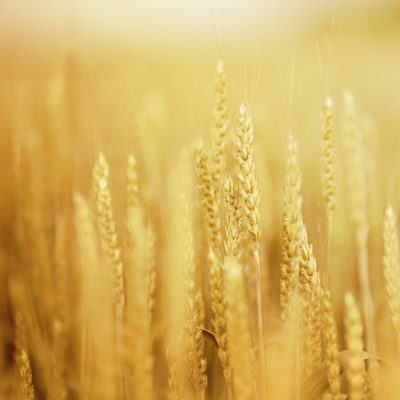 The process of grain conditioning (or tempering) is not a new concept and Adesco have been supporting customers with its Grain Conditioning (GC) Programme since 1997. The process involves the addition of Water + a Surfactant Mould Inhibitor to the grain. Prior to conditioning it is essential to establish the initial moisture content of the grain. This will ensure the correct addition to achieve an agreed target moisture prior to rolling and result in the production of a good quality rolled grain. 1. Grain Size and Moisture Content of Grain. Grain size varies due to variety, growing conditions etc but it is the evenness of grain size as it passes through the roller that impacts on the level of processing each grain receives. Rolling uneven sized grain may result in some smaller grains not being cracked and some larger ones being over crushed. In this situation the throughput of the roller may also have an influence. The moisture content of the grain also has a major influence on how the finished rolled grain will look; if the grain is dry the kernel will tend to crack and shatter giving rise to high levels of dust. Does the material in the centre of the pile look mealy and dusty with coarser material running to the outside? What is the overall colour of the pile? Is it grain colour with white flecks? Take a sample of the grain and spread it out on a flat surface and check for the presence of whole grains. In general each grain should appear to be cracked and slightly flattened. It is also important to remember that the temperature of the grain will increase as it passes through the roller and it is essential that the rolled grain is allowed cool down close to ambient temperature before storage in bins or further processing. It is important to examine the roller, cleaner, magnets and feeder before starting and during the rolling process to ensure there is nothing mechanical affecting the rolled grain quality. If there are a lot of small grains present which are not being rolled properly then adjusting the roll gap setting and reducing throughput slightly may also improve the quality. If the rolled grain quality is not satisfactory or looks different from previous runs you need to establish the reasons for this. As it is unlikely any significant adjustments have been made to the roller from run to run, the change in appearance will most likely be due to the agreed target moisture not being achieved. In most instances this will be due to variation in initial moisture content therefore constant monitoring of grain moisture content is essential. A sample of all rolling runs and or loads despatched should be kept for at least three months and a small number tested for moisture. This will establish in the mind of the operators the relationship between moisture content and rolled grain quality. Finally it is important to keep records of the rolling process on a daily basis. Not alone is this good practice but also is essential in dealing with complaints (should they arise) in an efficient and professional way.